WATCH THE VIDEO FROM KAY WARREN ABOVE! 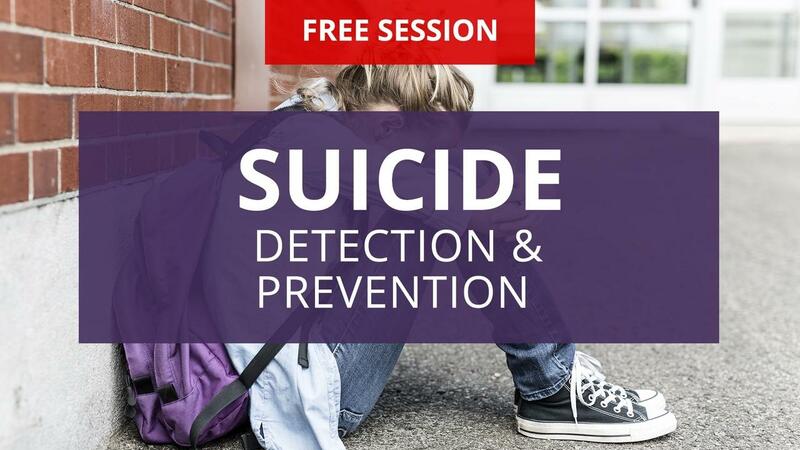 We’d like to give you and your leaders this FREE session: Suicide Detection and Prevention from Suicide Prevention Specialist, Craig Lomax and DYMU co-founder Josh Griffin with an introduction by Kay Warren, Co-founder of Saddleback Church. Once you get access to this course,you’ll be able to grant access to your leaders by following the simple steps to enter their email addresses on the session page. They’ll receive an email with a link to watch the session on any device! Suicide is the second leading cause of death for 15-24-year-olds. This means that it’s not a matter of if there are students in your ministry struggling with suicidal thoughts, but a question of which ones. In this 17-minute session, Suicide Prevention Specialist, Craig Lomax, and DYMU cofounder Josh Griffin, offer a crash-course in suicide detection and prevention including tools to help you recognize the warning signs, steps to take for early intervention, and resources to turn to as you assist in building a safety network and establishing a safety plan.